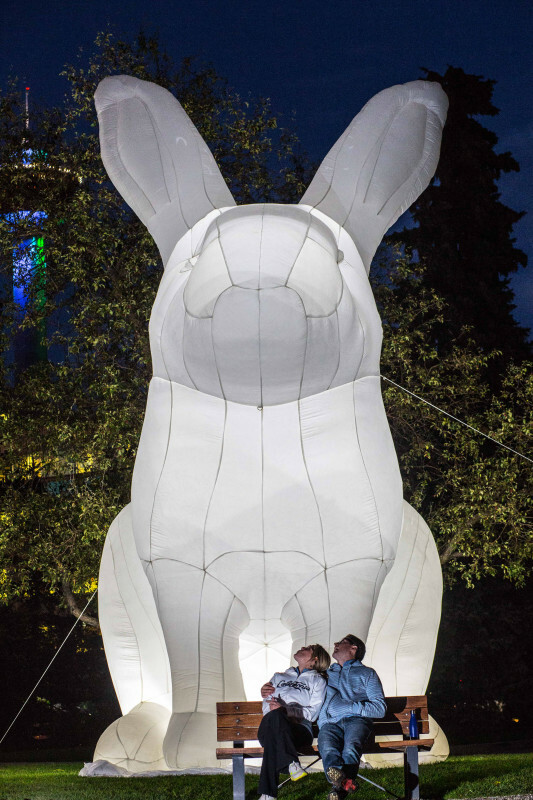 Pinecrest Gardens hops out of the box and welcomes glowing 25-foot bunnies to the meadow this April. Easter will never be the same. 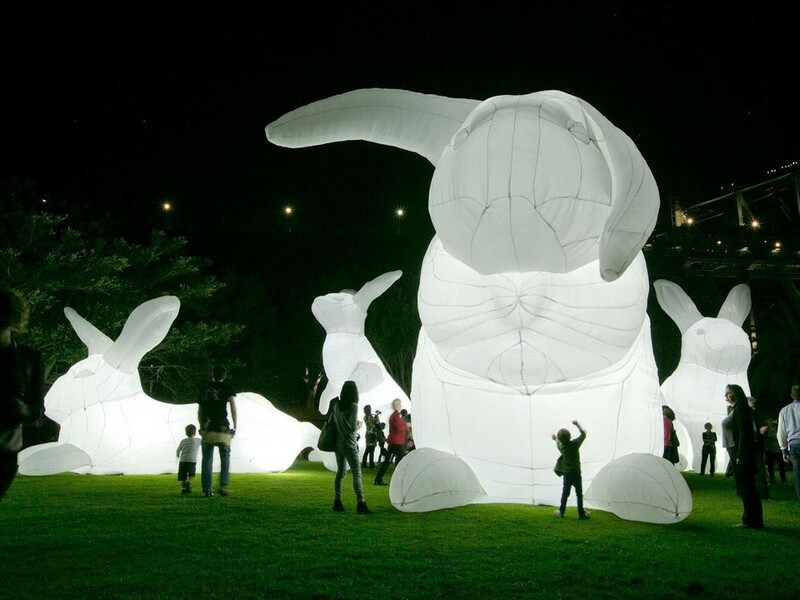 Imagine giant 25-foot tall bunnies glowing in Pinecrest Gardens’ meadow right before dusk and into the evening. 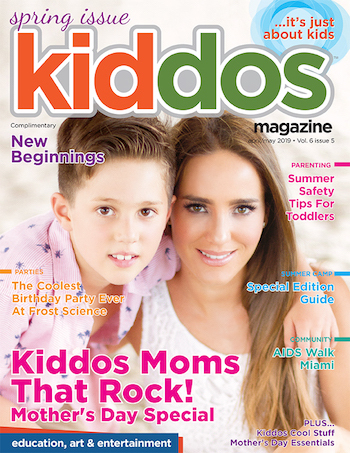 Add Glowga, art activities for kids and live performances, and you have Big Bunny Invasion. 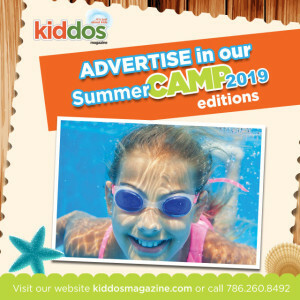 This April Pinecrest Gardens is tossing out the traditional “hunt”, and replacing it with relaxing weekend evenings where both children and adults can play. 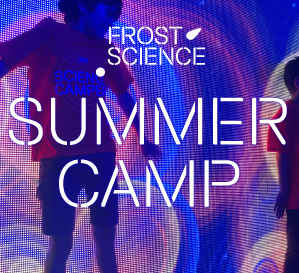 Edgy and ephemeral, Big Bunny Invasion is a public light-art installation that blends fine art and community to ignite imaginations while providing the perfect setting for families to unwind, create and learn. Friday, April 5 | Pinecrest Dance Project at 6:30 p.m. & Glowga at 7:00 p.m.
Sunday, April 14 | ArtCademy at 6:30 p.m.
Friday, April 19 | Pinecrest Dance Project at 6:30 p.m. & Glowga at 7:00 p.m. This art installation was created by Parer Studios. Based in Australia and led by Amanda Parer, Parer Studio’s work has been displayed in major international public art museums such as the North Carolina Museum of Art, the Memphis Museum of Art USA and the Southbank Centre in London and continues to attract major art commissions such as from Starfield Korea, Unilever Turkey and Brookfield International. Guests are encouraged to brush up their selfie skills because the “bunnies” are going to be on everyone’s social media feed. Use #BigBunnyInvationPG. Gates open at 6:00 p.m. each night. There will entertainment and vendors every night.